North Castle Partners and Full Swing Golf today announced that North Castle, a leading private equity firm focused on consumer businesses that promote healthy, active and sustainable living, has made an investment in Full Swing, the market leader in golf simulation technology. The company’s patented dual-tracking technology delivers an unmatched playing experience and has been installed in thousands of homes and businesses globally and adopted by some of the top professional golfers in the world. Global sports entertainment leader Topgolf® Entertainment Group (TEG) made a strategic investment in Full Swing as part of the transaction. The terms of the transaction were not disclosed. “The foundation of the North Castle approach is to partner with exceptional management teams and industry professionals to unlock the full potential of companies focused on healthy, active and sustainable living. We welcome Ryan Dotters and the Full Swing team to the North Castle family,” said Chip Baird, North Castle CEO and founder. With the support of North Castle, Full Swing will execute on its strategy, which is focused on dramatically growing its presence in existing and new channels, and continually enhancing the simulation experience through product and software innovation. “North Castle’s network and expertise in the areas of sales, branding, product innovation and operations will be an invaluable resource to Full Swing as the company accelerates growth through relentless focus on innovation and product experience,” commented North Castle Managing Director Alison Minter. Full Swing products are used for game improvement for golfers of all skill levels, as well as a form of entertainment, with a unique package of non-traditional golf games. Tiger Woods, Jordan Spieth, Jason Day, Jim Furyk and Patrick Reed are among the many professional golfers who use and endorse the products. In addition, the Full Swing S4 simulator received the Editor’s Choice “Best Golf Simulator” by Golf Digest the first year the product was released to the market. 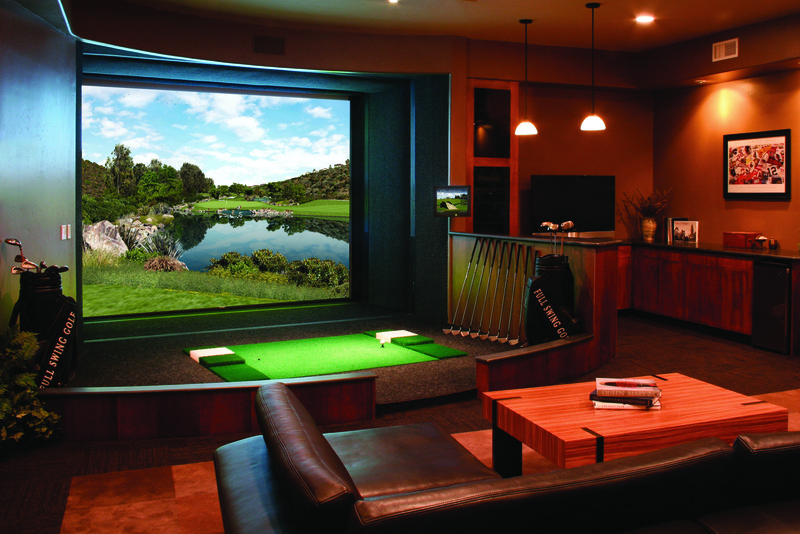 Later this year, Full Swing plans to roll out its highly anticipated and revolutionary Virtual Green putting simulator. Topgolf has also invested in Full Swing to support the growth of its one-of-a-kind Topgolf Swing Suite lounge experience, first introduced at the Four Seasons Hotel in downtown Houston. Full Swing is also an exclusive partner to Tiger Woods in jointly developing golf simulation products. KPMG Corporate Finance acted as the exclusive financial advisor to Full Swing Golf. Morrison Cohen LLP acted as counsel for North Castle Partners and Full Swing Golf Holdings, Inc.